Zedd On The Rocks RETURNS for 2019: The ultimate festival feeling will take place for one special summer night at Red Rocks! The biggest dance event of the year brings a solid line-up every time, this year on the bill is of course Zedd, along with Hippie Sabotage, Snakehips & Dwilly! All of them will be getting the crowd jumping as they hit the stage at Red Rocks Amphitheater on Wednesday 19th June 2019! Tickets are on sale NOW – don't miss out!! The multi-talented EDM DJ, Zedd has exploded across the music scene ever since his first debut in 2012! The Russian-German musician is known for his outstanding abilities to professional write and produce in a varied genre with anything in between electro, house, progressive house, dubstep and classical music. As he takes influence from all of these unique genre's and blends it into a smooth soundscape for his on the record releases and his groundbreaking live shows! 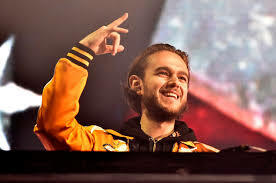 With his first initial release debuting in 2012, Zedd gave to the world "Clarity" which pushed his career right up in the mainstream and kickstarted his ever growing fan base as it hit number 8 on the billboard top 100. He also won a Grammy Award to Best Dance Recording at the 56th Grammy Awards! All of this over night success has propelled his career on the upwards and there's no sign of Zedd coming down! As well as his solo releases he also has collaborated and included featured artists on his tracks such as Alessia Cara on "Stay" which also became a smash hit at number 7 on the US charts! And even more successfully with the "Break Free" single which featured the sensational vocals from Ariana Grande, which hit the number 4 position in the charts! Zedd truly knows how to get the crowd pumped with his heavy beats and uplifting melodies, the DJ and producer is traveling across North America this coming Summer to showcase just that! 2019 is shaping up to be an incredible year for music – don't miss one of the biggest EDM ad Dance music nights of the entire year!! This is what summer was made for!